We had just launched crowd-funding campaign for our Jaaz Portal project. 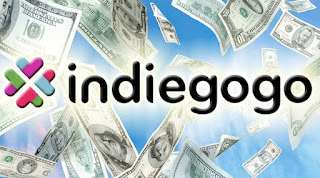 We had choosen leading American service – Indiegogo – as a platform. We hope to gain just a 1000$ to buy new server for our project web-site. In exchange for support we are offering free web-hosting of Your homepage. We need just a 1000$ that we hope to gather in next 15 days. We will spend most of this money on the hardware but we are also reserving a 200$ for marketing purposes. We are in preparations for bigger fund-raising campaign to secure 65 500 Euro for the Jaaz Portal. Please visit our product site – http://portal.jaaz.eu/ and check our Portal Guide and the Business Plan. Help us in growing our business and in exchange You will receive free access to Personal Edition of Jaaz Portal. 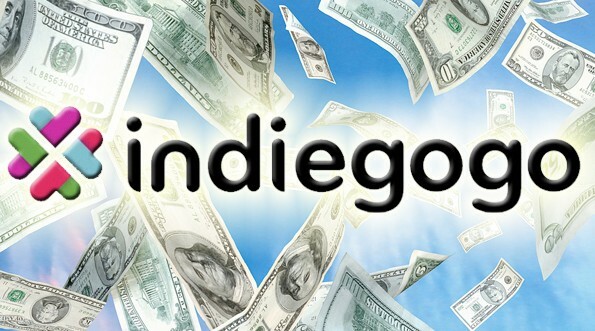 You can donate on-line on Indigogo page. Even 10$ will make difference and will help us to gain support of others to fully secure this campaign's goal of 1000$. Be part of our story. Success story. Jaaz.eu officially launches new Jaaz Portal web site. The new home page will help bring investors attention on this project. We invite everyone interested in having his own personal, community or business portal to visit the site. 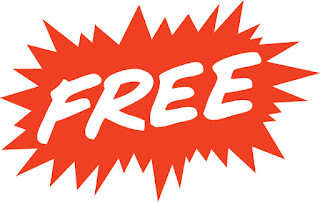 We will offer a free version of our service, as well a set of Open Source components. The Jaaz Portal is new project of Jazz.eu company that will be a highly integrated powerful portal and web hosting solution. It will offer average Facebook or Blogger users possibility to have their own fully featured portals for personal, community or even business needs. The Portal homepage is dedicated to all those wanting to take a share of further profits by investing in the project. 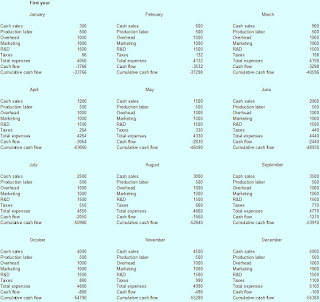 Everyone that wants to make investment of whatever 10 or 10 000 dollars will find this site interesting. It contain Project Guide – a description of each Editions of JaazPortal, as well a complete Buisness Plan describing company strategy and potential market. Please visit our site http://portal.jaaz.eu/ for more informations on this subject. Our crowdfunder.co.uk campaign has just ended and we must admit it was a complete failure. However, learning on the past mistakes, we are not giving up and are preparing another one. This time in the United States. Our campaign did not binged much of success. We had received only 12 pounds from 1000 on which we was counting. The main problem is that this project is still very fresh and we did not build yet strong community around it. Jaaz Portal have only three months and when we started it it was only in our heads, even not on paper. But we grows very fast, not only in number of followers on social media. 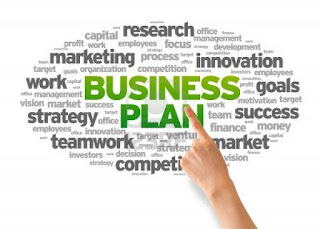 We had developed complete Business Plan and Portal Guide that describes our solution we want to offer You. Soon, we will officially launch new website of the project. With this set of tools we are sure that we will have bigger impact in our next crowd-funding campaign. We will perform it on IndieGoGo, second biggest crowd-funding portal after Kickstarter. 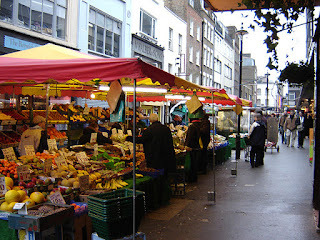 The previous one corwfunder.co.uk was relative small and limited only to the United Kingdom. Now we will expand to whole United States. The other serious problem we had in this campaign was lack of possibility to make a pledge using the credit card. The only possibility to pay us was to use Pay Pal that was to complicated for most of our supporters. This time we will have a credit cards. We do not give up and we hope for much bigger success in the America. Stay tuned. Business Edition is designed to meet needs of modern Entrepreneurs. 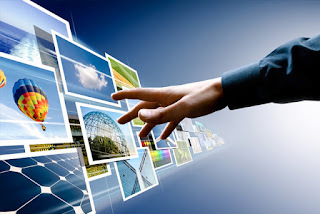 Everyone that wants to take his business to the Internet will find out that our solution is really great help. If You want to have complete web shop this is best address You can find. The main components we will offer to business are complete solution for those wanting to open their retail store in the Internet. Fully featured Internet web shop. User will be able to create and manage different categories of products. 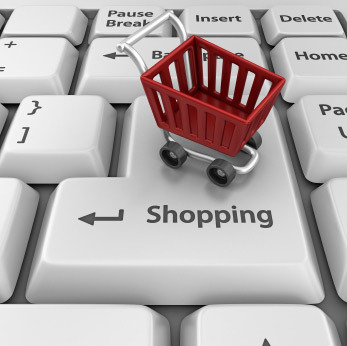 Users will be able to browse, search and buy their favorite products. Running a web shop is not easy task. To help You manage everything related to storing, marketing, selling, packaging and shipping orders we will provide set a tools in one, integrated back-end solution. A component to perform fund raising campaign. 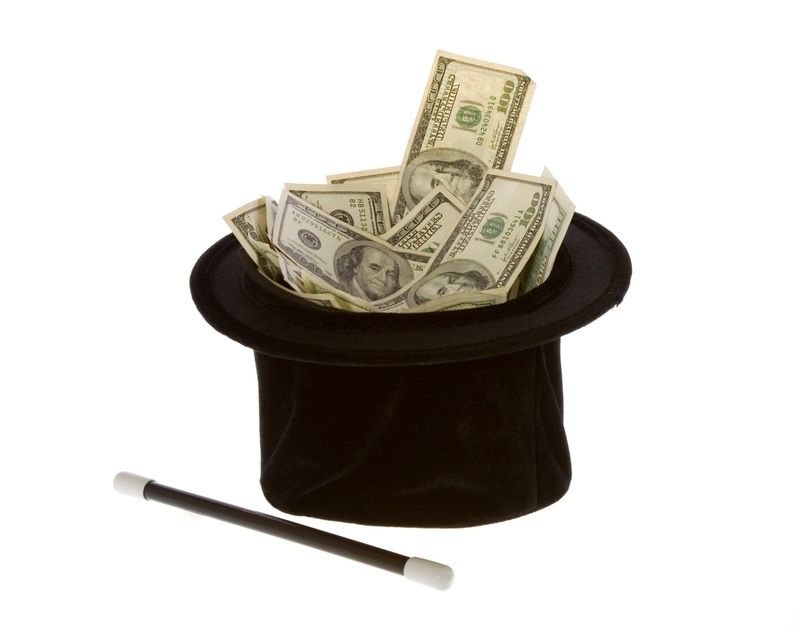 In exchange for investment companies could share their profits. Reservation of upcoming product. Customer would be able to reserve a product for themselves. On Saturday it is a final day for our crowd-founding campaign. We wanted just 1000 pounds to prepare for main fund-raising campaign but what we has received is making us heavily disappointed. Still You can pledged even 10 pounds. 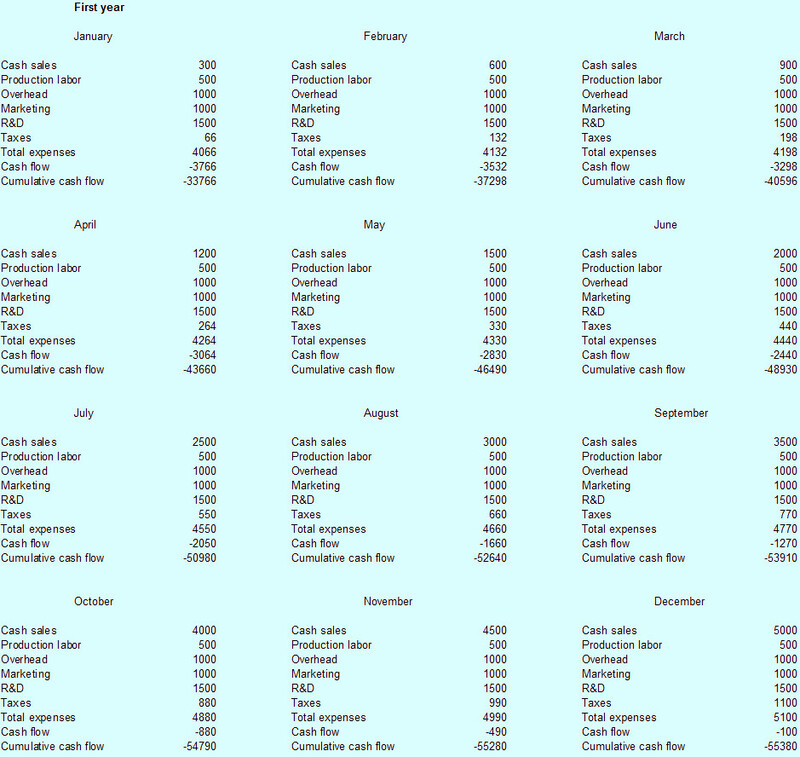 We will spend this money on marketing, as the server we need cost more that 500 pounds. 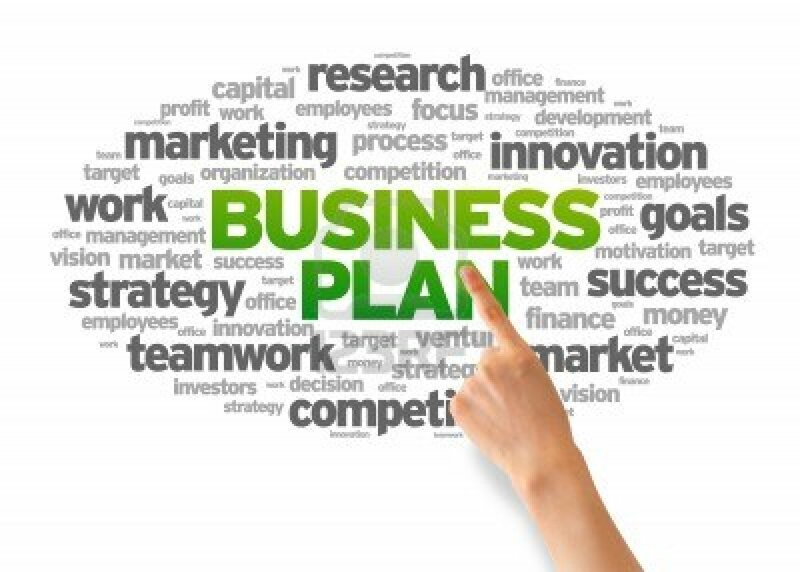 Read our Business Plan and Portal Guide and pledge now. You will receive free web hosting in exchange. If You cannot, please ask a friend for support. We realy appreciate this. Community Edition is perfect solution for Non-Governmental Organizations, Charities, as well informal groups like fan clubs. It will contain a tools to fully utilize potential in organizing activists and events. Fully featured Internet Forum will be provided. Visitors would be able to create threads, send their posts and replying on other posts. User will have tool to create new forums, moderate and delete posts. A special Facebook like component to fully utilize potential of Your activists. They will be able to organize group, create events, create and manage tasks and post newses about group. Special subpage will be provided for each group. Activists will be able to communicate between themselves. Users will be able to post and receive private messages. 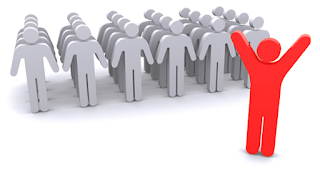 A powerful tool will be provided to manage users and their groups, as well permissions to different sections of site. Users will be able to join organization and pay membership fees. A petitions could be created inside of site. Visitors will be able to sign the petition while user will be able to manage signatures. In difference to Petition this component will be dedicated to organizations wanting to support some initiative presented on the site. Organizations and selected users will be able to sign something and they will be displayed, as supporters after moderation. Personal Edition is for every individual user who wants to have a completion of his social media presence or blog. 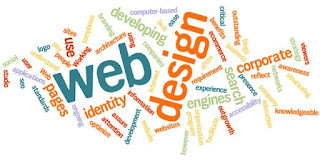 With set of powerful components user will have opportunity to create complex website of his interest. In addition to Free Edition templates additional 10 professional layouts will be included into service. User will be also able to register his own domain name. 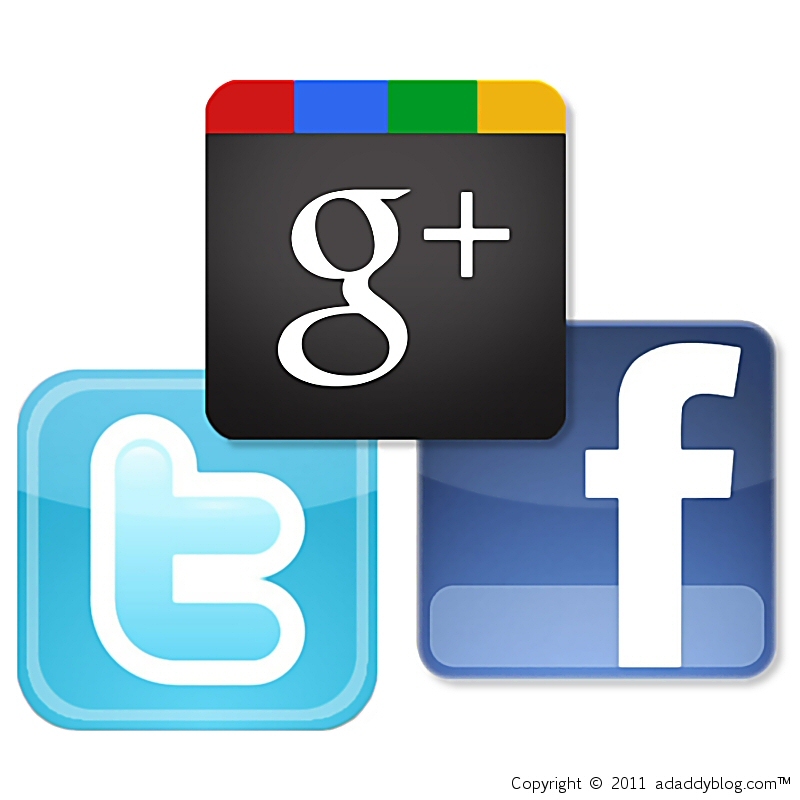 Users will be able to integrate their portal with social medias like Facebook, Google+ and Twitter. A small gadgets will be provided to display social media on the portal sidebars. A news system will be provided. User will be able to publish his own news and display it on main page or sub-pages. A complete commenting system will be offered. Site visitors will be able to publish their own comments loging on the page with their Facebook account. Owner will have possibility to delete unwanted comments. A Facebook like info stream with informations provided by portal like newses, comments and system messages. 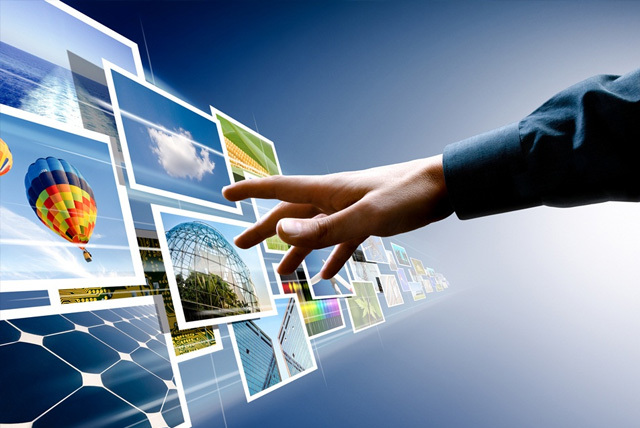 A complete Content Management System will be provided. User will be able to create and edit HTML pages using user friendly editor. Also powerful menu editor will be available. In additions users will have possibility to add HTML/JScript content on sidebars and at top and bottom of the page. A layout engine will be provided with set of layouts to chose by users for their web sites. In free version only 5 OSWD layouts will be provided. User will have possibility to launch his own advertisement campaign on our sites. He will have option of using graphical banner or Google AdSense like text with little graphics. 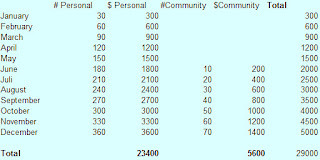 User will be able to describe his target group using categories, age and countries. Curtly we use development layout, but this is going to change soon. We are preparing professional layout that will be ready early next week. After two weeks of hard work our Business Plan is finished. Please help us reach a potential investors and share this news with Your friends. You can also download PDF version of this file to print it and read later. If You have any question or want to invest please feel free to contact us. You can also support our initial crowdfunding campaign here. 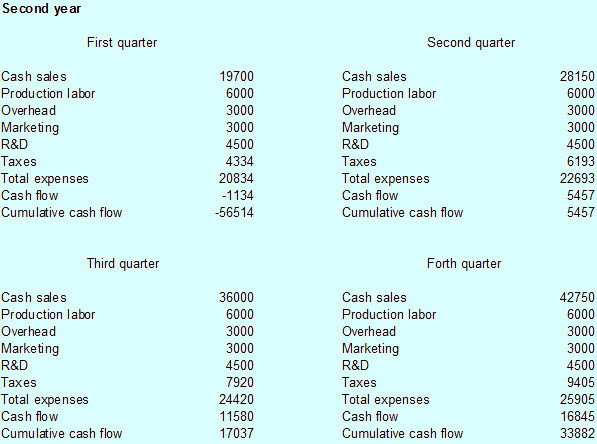 Below You can find an income statement for three years of the project. In first year we present it on monthly basis. In second quarterly and for following years we present it annually. 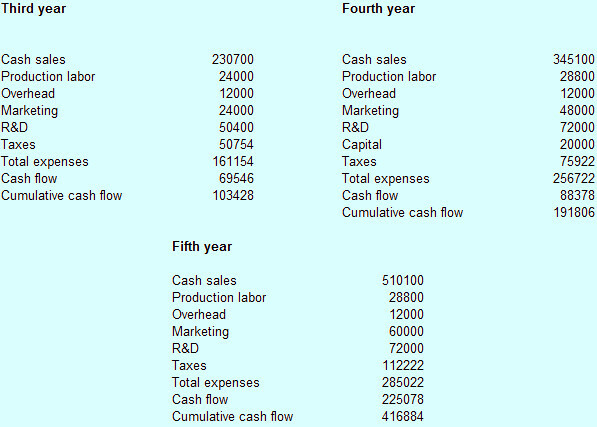 Below You can find an cash flow statement for six months development and three years of the operation of project. In first year we present it on monthly basis. 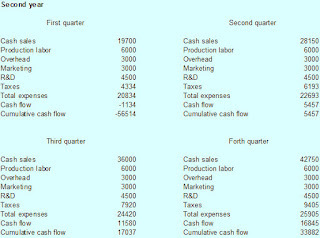 In second quarterly and for following years we present it annually. The Jaaz Project will need one Project Manager that will be responsible of supervising development an operation of the project. He will be also responsible for marketing and contacts with investors. The development team will on beginning consist of only one developer but in second year we will supplement him by another one and in third year by one more. Developers will develop and maintain our solution and will prepare and run Open Source project. In second year of the project we will also hire Help Desk Officer that will be responsible for fixing customers problem over phone and Internet. The team will also really on the Freelancers, mainly graphics and web-designers. The system administrator will be Mr. Sebastian Walos, one of company creators, that will be paid on task base from Freelancers budget. 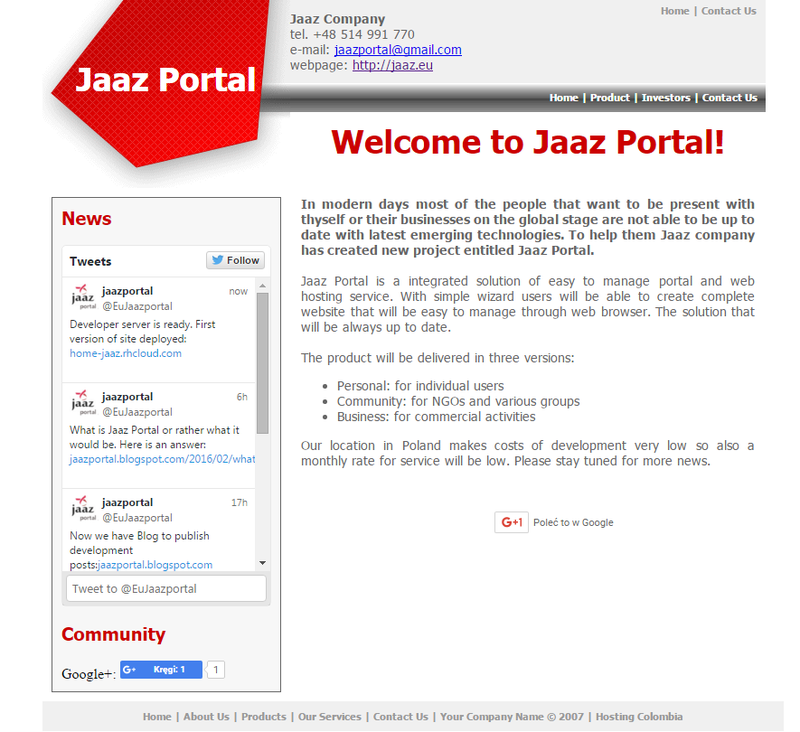 Jaaz Portal will be provided in four basic editions: Free, Personal, Community and Business Edition. Each of editions will consists of modules that will be accessible to the end user. On beginning one developer will be assigned to project. 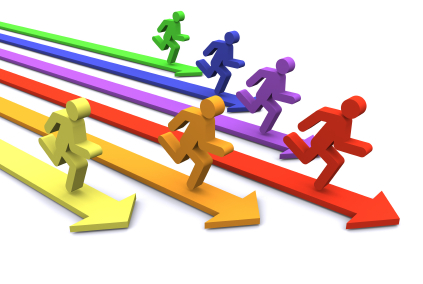 In second year another one will be added to reach three developers in third year of the project operation. After this time-line we will further develop our portal to meet customers needs through adding new modules and expanding existing. In second year of the project we want also to release parts of modules, as Open Source components. Beside development we plan also to provide help-desk for our customers. For this purpose in third year we will hire Help Desk Officer. This will be supplemented by budget on Freelancers: administrators, web-developers, web-designers etc. For whole project we will need also one Project Manager. Beside office (500 Euro/month) and network connection (500 Euro/month) we will need also powerful production server on which we has allocated 15 000 Euro and another one for 20 000 Euro in fourth year of the project. 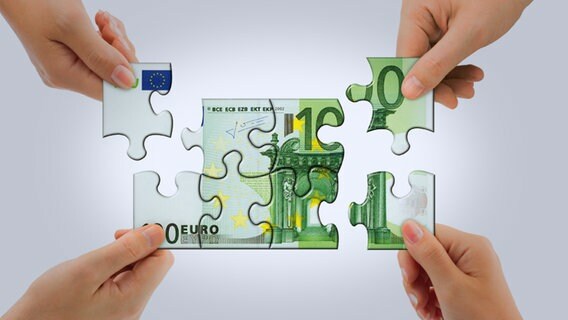 We are allocating also a budget of 1000 Euro per month for marketing operations that will be increased steadily each year. The development and operational budget presents as follow. We are just in the middle of our crowd founding campaign and we must admit we are really disappointed by it. Through this days we has received only one pledge worth 12 pounds. Please help us and in exchange get free web-hosting. We are preparing our project for main found-raising campaign that have a goal of raising 55 000 euro. We are preparing a web-page for it that you can browse on our development server. We are making a promotional video and preparing business plan to present to potential investors and backers. But foremost we need a money on production server. We are worth of Your money. Please pledge now and be part of our success. In exchange we promise You a reward – free web hosting for your dreamed homepage. The market is dominated by like GoDaddy (5.69%), BlueHost (2.54%), HostGator (1.91%) and French OVH.com (1.91%) and German 1&1 (1.52%) and Hetzer(1.35%). This companies however do not offer solutions for users with minimal knowledge of Internet. Usually they require knowledge of professional Web Master or even Web Developer with PHP skills. Average user of Blogger or Facebook does not have such knowledge and it is a niche we want to take offering highly integrated solution of core tools like news publishing system, user management, Internet forum, Facebook news stream or even Internet shop. The level of integration provided by other companies is light. It means that for configuration and management they does not use unified tool but they rely on tools provided by developers of this components that are usually external companies and groups of Open Source developers. 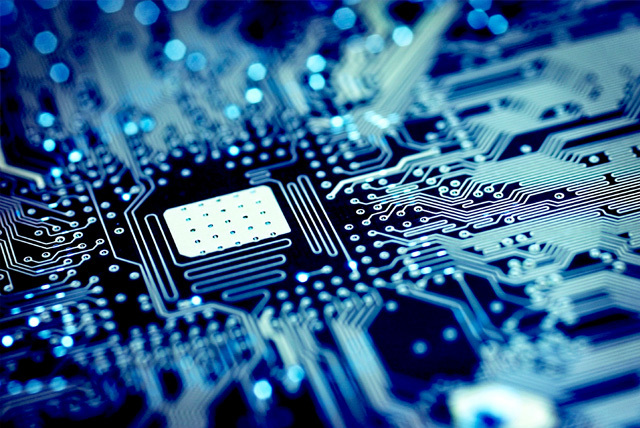 We will integrate everything from start and will provide components developed by our company. In addition in later stage of project we will provide it, as Open Source for individuals and companies what will assure additional developers to project. The tools we will provide shall live their own life becoming more and more perfect. The competition usually does not provide free versions of service while we will. They offer limited broadband and storage for minimal price. We will provide completely free service but without possibility to register own domain and with only 6 pages supported. The free version will not have most of components available in other editions. It will be limited only to Content Management System. The competition prices of unlimited bandwidth and storage – what we will also offer in all editions – are usually few Euro lower but we will provide higher comfort of use. 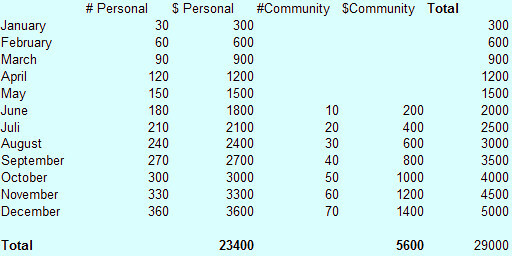 After reaching 2000 clients we will also cut our prices to level comparable with competition. In addition we will use free service, as advertisement channel for our company. In future we will make it available also to our customers and other interested parties. 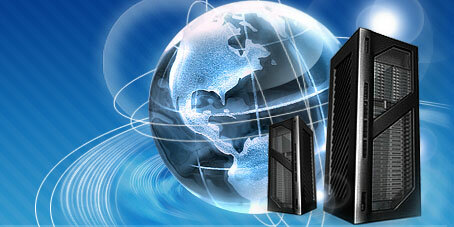 The growth of Web Hosting sector for next years is predicted at 26%. It gives potential of 27.04 millions customers. 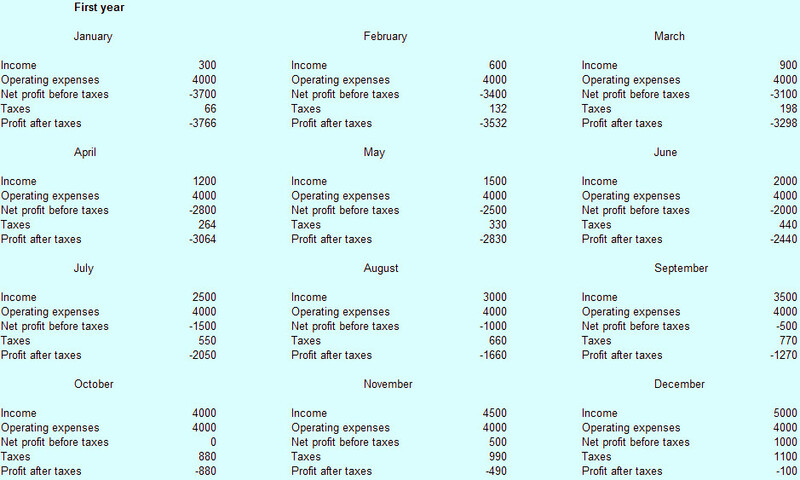 While to be profitable Jaaz Portal needs only around 2000 in three years. We can then predict that it will grow much more in this 4 years terms but for purpose of this Business Plan we had used 'the dark scenario'. We will operate globally trying to reach worldwide population of Internet users but of course we predict strong presence on domestic Polish market that is 12th on the world. We will provide English and Polish Web Page and will be focusing on Great Britain, United States and Poland. In our marketing strategy and development we will focus on biggest group of Internet users that does not have technical knowledge but want to have complex powerful presence in the network. The tools we will provide, both Wizard for creation of portal and Web Console will be compact and simple to use. In difference to competition that also uses modular design we will provide integrated components. This one that competition provides are build up by different groups of developers that does not cooperate. Thus management and configuration is not unified and often needs deep understanding of Internet technology. Our modules will be integrated and whole component set will be installed, configured and managed through one single tool what will give unique experience to the end-user. Clients will not need to have technical knowledge they will also no need to learn new tools each time for every component. We had decided to divide our component sets into three groups. Personal Edition will be designed for individual users that needs something more that offers Facebook or Twiter but want to have same comfort of use. 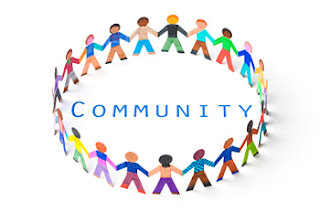 Community Edition will be dedicated to informal groups of people but foremost to Non-Governmental Organizations and Charities. The last, Business Edition will provide complete web shop solution with front and back-end. Beside this we will offer Free Version of our service with limited capabilities and only with one basic module of Content Management System. This edition will allow us to quickly gain grounds on the market and will promote our brand. We will be directly selling our service through our Web Page but we will provide also option for our partners to re-sell it. For each partner we will provide unique number – electronic coupon – that user could provide once buying our product. This way he will get 10% discount and another 10% we will be giving to reseller company. The payment will be provided for each month customer uses our service. To increase our position and to attract new customers we will be performing advertisement campaign through popular social media like Facebook, Twitter and Google Ad Sense. In addition we will be exploiting free sites we would provide with our company banners. In future we will be selling this banner space to interested parties. To promote our solution among companies and developers and to further strengthen our brand recognition we will provide some of portal components we will develop, as Open Source. This will be licensed for both non-profit and commercial use. In three years we are predicting to have 1850 clients: 1420 personal, 310 community and 120 commercial Web Sites. We are assuming a monthly growth of 40 personal, 10 community and 5 business customers. 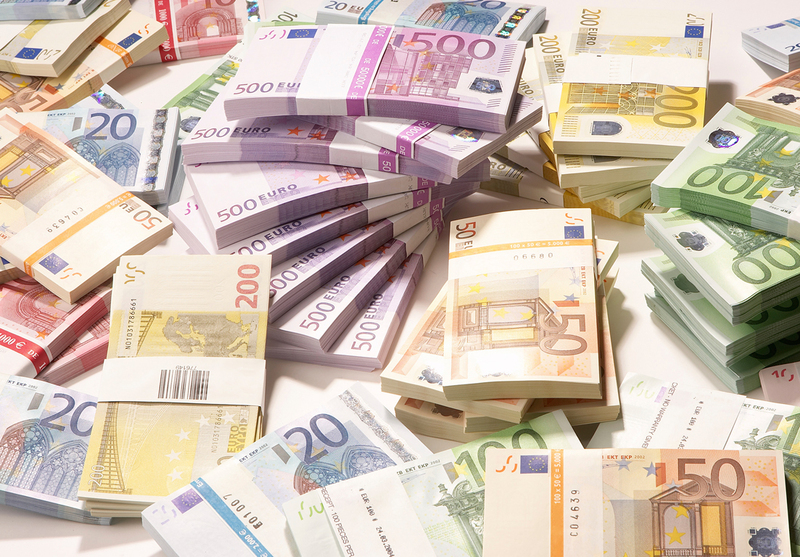 This will give a total revenue of 386 300 Euro. In five years time it will be then 1 241 500 Euro. 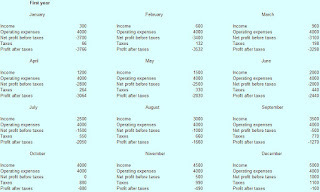 The client and revenue growth for next five years since introduction of first edition of our solution is presented in the table bellow. Is it possible today for a single engineer to scale an app to 1 million users? Between 2003 and 2009, he was the only developer in his company. The website grew to more than 10 million users, before he started hiring more developers. PS. We at Jaaz.eu needs only 1500 to be successfull. Internet is biggest business phenomenon of recent years. From relative little research project that was run by Universities it has grow globally to at least 4.85 billions of pages. On top of it many fortunes has been born. Everyone those days knows trade-marks like Microsoft, Apple or Facebook. It is worth to remember that they was once created in garages of their owners. Internet businesses can be divided into many sectors. From software development, web creation to consulting services. However every of this sectors needs one basic and fundamental one. The web hosting. 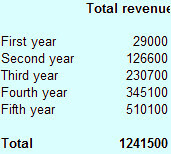 Revenues of Web hosting market in year 2013 was estimated on 8 to 10 billions dollars (not including corporate services). There is approximately 260 millions of registered domain and approximately 40% of them have working Websites. In next four years the market shall grown by 26%. The market is dominated by American companies like GoDaddy (5.69%), BlueHost (2.54%), HostGator (1.91%) with exception of French OVH.com (1.91%) and German 1&1 (1.52%) and Hetzer(1.35%). On Polish market that is 12th worldwide the biggest operators are Home.pl (29.04%), Onet (14.16%) and OVH.com (4.81%). This companies however doest not offer solutions for user that does not have deep understanding of Internet technology. Even if they offer basic wizard to create Web-page client must usually know PHP language to use it fully. Their customers need to hire administrator, web-master and often PHP developer and graphic. This is a niche our company want to take. We will offer a solution for average, unskilled user that will be able to create his own portal in few easy steps to later fully manage it without knowing specifics of PHP or Java language. Everything, including web layout, will be manageable through web-browser like in end-users solutions like Facebook or Bloger. Our service will need similar level of knowledge to be fully utilized by client. We will offer unlimited network speed and storage what makes our price just few Euro higher that market leaders. It will be cost of more comfortable web console and service but from the other hand our business to be successful and guarantee us relative success will need only 1850 clients in three years it is 0.00007% of global share. The last company from indexed global providers Pair Networks have a market share of 0.25%. Our product will be sold in three editions: Personal, Community and Business what shall address all customers needs. Customer will be registering on-line with different payments possible. The site will be created by easy to use wizard that will guide client when he will be developing the site. The solution we propose will be build-up from modules (ie. forum, news, working groups). We plan to release some of them, as Open Source licensed for free and commercial use. Client will get one month free service. In addition to lure more customers ,a completely free version will be available with limited capabilities of simple Content Management System. 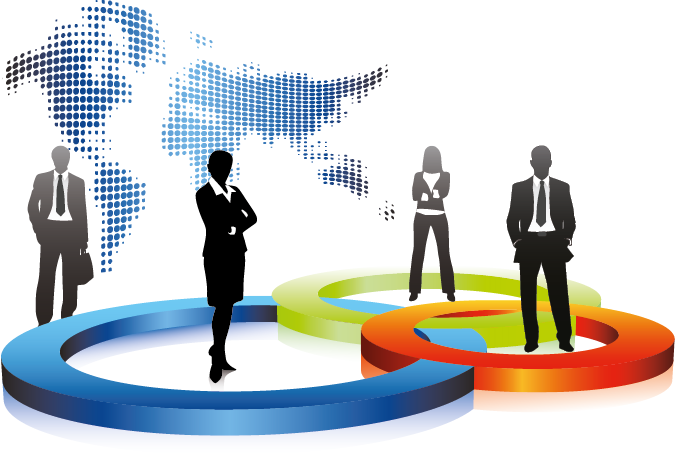 We plan also various Internet marketing campaigns (Facebook, Google, Twitter) and partnership projects. 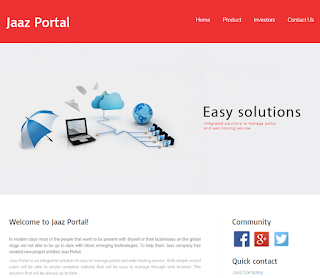 Jaaz Portal is a service dedicated to everyone that want to have his global presence in the Internet. It is integrated portal and web hosting solution for individual, community and business needs. Because we are located in Eastern Europe, Poland we will be able to offer competitive, low cost product that everyone can afford. We need a total investment of 60 000 Euro for development of service for six months and for operation for another year before project will profit for itself. The money will be spent on production server , office costs, marketing, Internet hosting, freelancers work and salaries of project developer and manager. Jaaz company has been created in 1998 year in Warszawa, Poland as partnership between Marcin Gregorczyk and Sebastian Walos and since this time is providing IT consultation and web development and hosting service for variety of small and middle businesses. Its biggest successes was creation of community portal for Euforia Media and websites of Digirevolt and Luxurity companies. In 2016 it has been joined by the Java Developer and System Architect Artur Radosz that was working for top polish corporations including Orange Poland, PZU Insurance and the Polish Mint. He was also project leader of Internet versions of Galeria Centrum and Smyk bigest polish retailer sites. We had just started crowd-founding campaign to gather funds necessary for creation of Jaaz Portal home page. 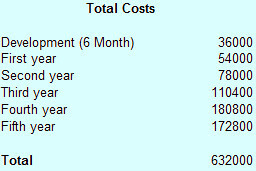 We need just £1000 to cover our expenses related to creation of project web-page, promotional video and business plan. Please, make a difference and support Us with, as low, as £10. The project we want to found in future needs first comprehensive preparations. To make this service a reality we first need to prepare investor package that will help us better explain our project needs. This work is also expensive. 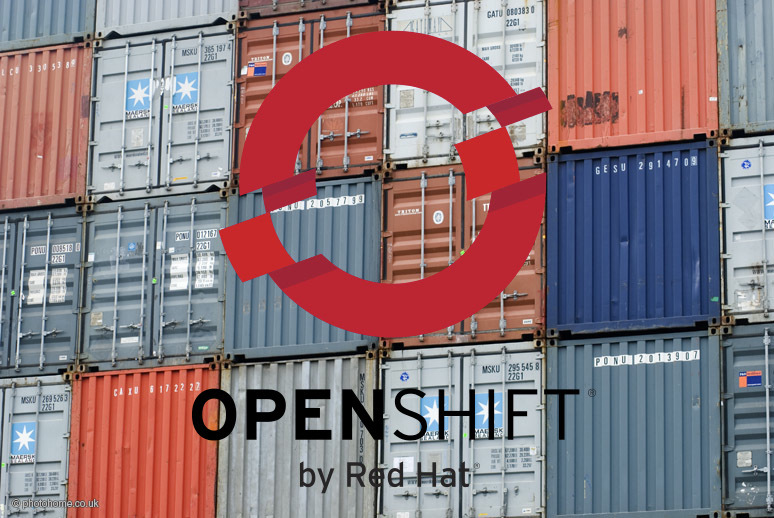 The basic skeleton of the project page is already on-line and you can check it out on our development server that is accessible thanks to OpenShift but it need a plenty of work more. We will also need a production server with costs us around £500, so half of the money needed will be allocated on the hardware. 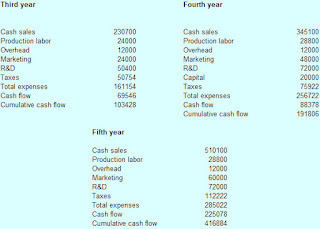 The other half will cover developer and manager salary and what will be rest will be spent on the on-line marketing. Please make our project reality and support us early even with lowest donation. Be part of our story. A success story. Development of even best product is hard if not impossible without money. We at Jaaz company knows this perfectly. Even while we have experience we cannot produce anything valuable without money. That is why we are actively looking for investment. 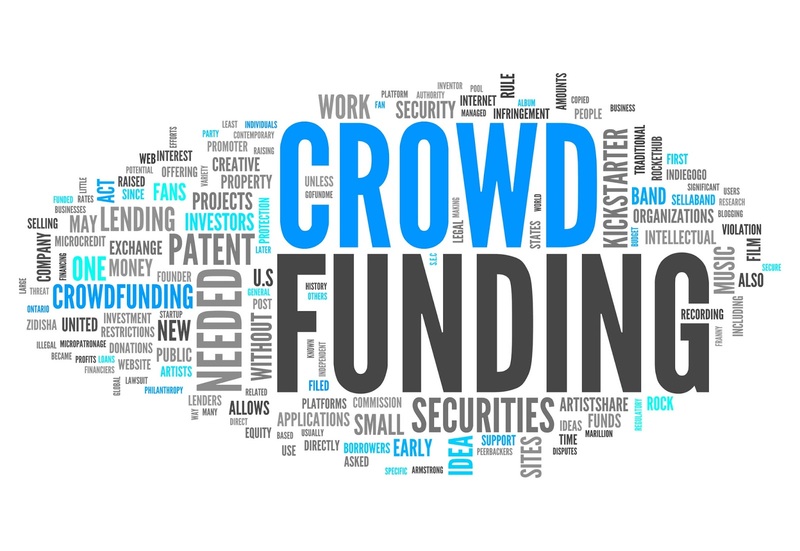 For that purpose we are preparing ourself for fund-raising campaign using one of crowd funding services while at same time we are not closing for more traditional venture capital option of investment. The experience proven by solutions we had developed for variety of our clients combined with low costs that we enjoy begin located in Warsaw, Poland are keys for success. We knows perfectly what and how to do it. That is why we can promise You high interest rate from such investment in our project. 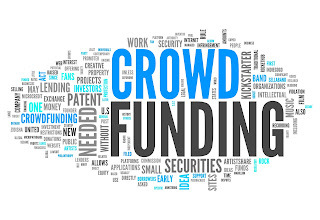 Whatever you are investor or fan of crowd funding You can become part of our success story. Whatever you want to invest thousands of Euro or just 5 You can be sure that it will go into right hands of skilled developers and artist. Stay tuned. Read latest news on our blog. 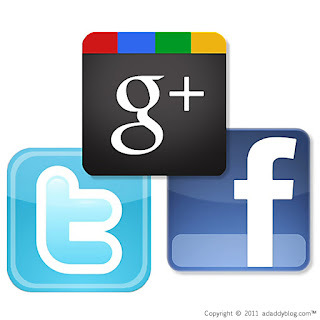 Follow us on Google+, Facebook or Twitter. Soon we will present You complete business plan for our Jaaz Portal product. Whatever sum would You like to share with us, we will not waste it. Be part of our success. Jaaz Portal is using latest Internet technologies to build up service for variety of users. Whatever You are individual that want to have his own powerful homepage, an organization that needs Internet to work with their activists closer or businessman that wants to not loose any single opportunity that global presence can give to his businesses You will find an answer here. Basing on latest Java technology we are developing state of art service that joins complete portal and cheap web hosting into one. With easy to use Internet wizard You will be able to create complex website with few simple steps. Whatever tasks and challenges You are facing we will provide solutions to them. Everything included in Jaaz Portal is simple to configure and manage through web browser, so You do not need to be a rocket scientist to have ultramodern and powerful website. To help You find best answer to Your needs we has decided to offer You three edition of our Portal, so You will easily find correct one that fits to Your needs. Solution made for individuals that are looking for their own web-space to host their personal web pages. Here You will find easy to use Content Management System that will help You to build and manage your homepage, a news publishing with powerful comment system, as well user management tools that will help to organize Your website visitors. Everything with set of customizable web-skins to make Your site looks great. This edition is dedicated to organizations or informal group of people that are looking for tools to better activate their potential. Beside all You can find in Personal Edition we are offering You a ready to use Internet Forum, working group support and online petition. Everything You need to better organize Your community and fight for Your case. An option for everyone that would like to move his commercial activities to the Internet. 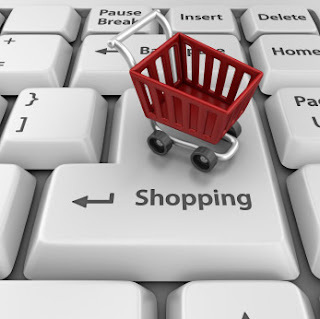 Here You will find complete solution to have Your own Internet shop. With easy to use front-end and powerful back-end to help you organize your storage and shipping system. 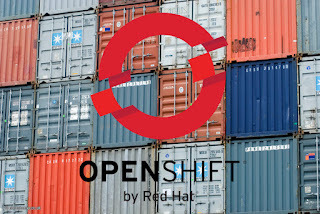 Our development server is now setup on Redhat OpenShift platform. Today we had deployed first version of site. You can visit it here. In modern days most of the people that want to be present with thyself or their businesses on the global stage are not able to be up to date with latest emerging technologies. To help them Jaaz company has created new project entitled Jaaz Portal. Jaaz Portal is an integrated solution of easy to manage portal and web hosting service. With simple wizard users will be able to create complete website that will be easy to manage through web browser. The solution that will be always up to date. Our location in Poland makes costs of development very low so also a monthly rate for service will be low. Please stay tuned for more news.